Allow, Embrace, Include and Integrate. Obviously these words could mean entirely different things to different people, but for me these words spoke really clearly to me in terms of dissolving blocks to success. I think it’s safe to say that when it comes to the blocks that each of us have that get in the way of achieving success (whatever that looks like for you: wealth, ideal career, self-confidence, etc. ), most of us would do anything we can to get rid of these blocks. We figure that the block is what's holding us back from getting what we want, so we must eliminate and destroy it at all costs!! There are a TON of ways we do this, but the goal is always to label the block as "wrong" and try to wipe it out completely. But what if instead of trying so desperately to get rid of these blocks or get them out of the way, we actually invite them into our awareness, thereby allowing them, embracing them, including them and integrating them into our experience. Rather than doing everything in our power to destroy them, what if we acknowledge and accept them, explore them, and even consider learning from them! 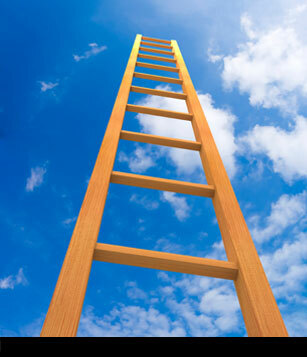 Think of something you are currently trying to achieve in life, but are having trouble accomplishing. It could be your ideal relationship, your desired weight, a promotion at work, anything that is important to you right now. Got something? Now imagine that whatever is holding you back is an actual feeling in your body. Even if you’ve never thought of it this way before, do so now. This means that you can’t blame your stuckness on the economy, or a stubborn spouse, or an ignorant boss. Go ahead and imagine that whatever is holding you back from achieving your desire is an actual feeling or sensation in your body, and figure out where in your body that feeling is. Once you’ve located that feeling, take some time to really get in touch with it and get to know it as best as you can. For example, how big is it? Does it have a color, and if so, what it is? What texture is it? Does it feel heavy and dense or light and airy? Does it change shape and move around while you observe it, or stay stationary in one spot? Keep exploring this feeling and learning as much about it as possible! Instead of trying so hard to completely destroy this block, see what happens if you take some time to familiarize with it and find out what it’s all about. Next, take this one step further and see if you can reach out from within you and actually give this feeling a hug! This can feel a bit strange since it’s just a feeling and not a concrete person or thing, but try this anyway and you’ll be amazed at how much better you feel once you make friends with your block. You may even want to try imagining that you’re taking your block for a walk in the park, or that you’re on a swing set swinging back and forth with it. Ever since I started my website, the two questions I’m constantly asked are, “How do I create more money in my life?” and “How can I find my ideal partner?” I’ve got several relationship resources listed on my site (including a few new ones), but if you’re looking to increase the amount of cash flowing into your life, look no further! 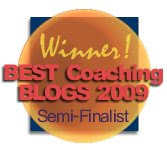 Occasionally I’ll be highlighting specific resources on this blog that I think are particularly effective, and this is one of those times. Money Mojo Magic, by Jeannette Maw, is one of the best products I’ve seen in a long time for attracting money into your experience, and I’ve seen a lot. I literally started making more money the exact same day I read the ebook! (It’s a quick read, so it won’t be long before you start noticing results, too). Even though I've been studying this stuff for years, somehow this program helped me grasp money creation in a whole new way. And it's a lot easier than we've all been told! Jeannette is a highly-regarded master law of attraction coach, and as a result this program comes entirely from a law of attraction stance. Therefore, just to be clear, this is not a program that talks about the actual steps to take in the real world to increase money, like investing in the stock market, or saving a certain amount every month. There are plenty of resources out there for that! 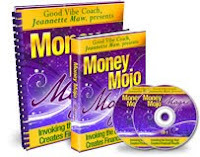 Instead, this product addresses the real cause of all your money struggles or successes: your mindset and your overall vibe regarding money. The truth is, until you get your beliefs and energy lined up with attracting more money into your life, all the “real-world” actions you take just won’t help. Any money you might make will eventually slip through your fingers and you’ll be right back where you started! This explains why professional athletes and lottery winners typically lose all their money within two years of receiving it. Until you've prepared yourself internally for large amounts of money, you won't see large amounts of money on the outside, no matter how many jobs you work, how much you save, or how much you invest. I’ve been actively practicing the law of attraction since way before the movie "The Secret" came out, and I can tell you that it works. Whenever I start putting more energy, attention, and focus on creating more money, my bank balance increases. Conversely, when I start worrying about losing money or not making enough, that’s exactly when unexpected expenses pop up or I find myself shopping more than normal! Money Mojo Magic helps explain the upper limit phenomenon, which is at the heart of this problem. 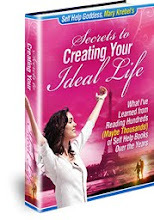 You'll also love this product because it shows you how to use the law of attraction to create other things in life besides money, like your ideal relationship, more energy, great health, your dream home, etc. To learn more about how to change your results with money once and for all, go here. A workbook is included to help you uncover your current patterns, as well an hour-long audio. You will love Jeannette’s high energy and infectious laugh! If you follow me on Twitter, then you know that a few weeks ago I initiated a new tradition called Self-Love Saturdays! 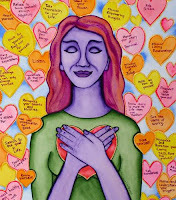 I’ve been on my own self-love kick the past couple months, and have been participating in the seven-week Self-Love Studio teleseminar series (there's still a few weeks left to participate). The addition of Self-Love Saturdays to my life has been a perfect complement to everything else I've been doing, and I'm highly considering making it a weekly occurrence! For me, this basically means setting aside an entire day, just for me! I have the whole day to do whatever I like, no questions asked. On these days I’ve intentionally not made any plans, so I have the entire day for me, tending to and nurturing myself however I see fit. I’ve been doing things like napping, taking long baths, meditating, attending yoga classes, doing the mirror exercise, reading, watching movies by candlelight, listening to peaceful music and soothing visualizations, etc. You get the idea! Obviously, depending on what you like to do, these things may or may not appeal to you so feel free to substitute other activities. The point of having a self-love day is to create some time and space for YOU, and indulge in whatever your heart desires. For me, it is rest and relaxation. For others, it is going for a long run or playing a game of tennis that they can’t normally fit into their schedule. Some people (not me!) might feel better running tons of errands and checking things off their to-do list. Whatever calls to you, that’s what you do on your self-love day. By setting aside an entire day for yourself (or even an hour if that’s all you have), you are signaling to both yourself and the Universe that you are important and that you are making yourself a priority. Remember, the way we treat ourselves is the way the world around us will treat us, so the higher we value ourselves the higher everyone else will value us! If you have a family or children it may be unrealistic to dedicate an entire day to yourself, but I still encourage you to slip away for an hour or two if you can and devote that time to yourself. An on-the-go yoga class or a quick walk in the park will do wonders for your soul! For additional resources to help increase the amount of self-love in your life, be sure to go here. I’m always looking for fun and effective self-help tools and techniques that will allow me to create my ideal life and manifest everything I could possibly desire, and I recently stumbled upon the exercise below. This is a variation of an old tool I’ve heard of before and I think you’ll have a lot of fun with this! Thanks to Apryl Jensen at www.creatingconsciously.com for this fabulous idea. The instructions are simple, but don’t be fooled by the simplicity of this exercise. This is powerful stuff that can truly help you create the life of your dreams! You’re going to write a letter to a friend or family member from ten years in the future, as if everything you are hoping will come true in the next ten years of your life has already come true. You're not going to actually send this letter (although you can if you want! ), so pick anyone you feel comfortable with that you want to address this letter to. Once you've selected that individual, write a letter to them as if you haven't seen them in the past ten years and want to catch them up on everything wonderful that has been going on in your life. Tell them about all the amazing success you've had and all the goals you've accomplished since you last spoke with them. For example, if you’re hoping to be married with children, write the letter as if you are already married with children and give the names and ages of your children. If you’re hoping to open a business or be financially free, write the letter from the standpoint of those things having already come to pass in your life. You might write about your booming business and describe all the fabulous vacations abroad you've taken! Not only will this allow you to get in touch with what your goals and dreams are, but by writing them down you are actually increasing the odds that they’ll manifest in your reality! Research has shown time and time again that people who write down their goals are much more likely to achieve them than people who don’t. If you already have a ten-year plan and know what you hope to achieve in the next ten years, great! You can go ahead and get started on your letter right away. If you’re like me, though, and haven’t put much thought into your five and ten-year plans, you may want to spend some time in meditation or do some journaling to get in touch with your deepest desires and uncover what you hope to see happen over the next several years of your life. Deciding what you want to happen is actually the most difficult part of the exercise. Sitting down and writing it is the fun part! The key to this exercise is to use as much detail as possible and really get into it. It’s okay if you don’t know all the details of what you want to happen, just allow yourself to have fun with this. Start with what you already know and new ideas will surely come to you once you begin writing. Describe who will be in your life, where you will be living, what sort of career you have, what your financial situation is like, what you do for fun, etc. Be sure to include anything and everything that is important to you!